We specialize in medical, surgical & cosmetic dermatology provided by well respected, Board Certified Dermatologists. At Dermatology Center of Atlanta, our mission is to provide the highest quality and most individualized dermatological care to all our patients. We believe that a standard of professional excellence should be met by outstanding patient-friendly service in all aspects of your skin treatment and care. We are confident that we offer the best dermatology services in the Atlanta area. Our physicians and staff invite you to visit Dermatology Center of Atlanta. Our Advanced SkinCare Center patients have the advantage of Dr. Leslie C. Gray, Board Certified Dermatologist, who uses her extensive knowledge and experience to ensure that the highest quality of products & services are always provided in a safe, reliable setting. Our Cosmetic Specialists at the Advanced SkinCare Center are passionate about offering the best services and are committed to educating each & every patient about the importance of routine skin maintenance. They work together to provide the best customized skin care regimen for you. Numerous options and the latest techniques are available to help you look & feel your very best. 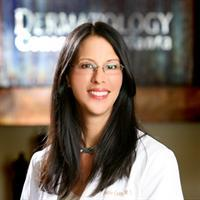 Services Leslie Gray, MD provides dermatology services in Duluth, GA. A Dermatologist is trained in skin care. A dermatologist is concerned with maintaining healthy skin, nails and hair as well as diagnosing and treating skin conditions and diseases. They also correct disfigurements, blemishes and scars. You might see a dermatologist for acne, or see a dermatologist for dermatitis. Please call Leslie Gray, MD at (770) 497-0699 to schedule an appointment in Duluth, GA or call for more information. Staff person is terrible. After being on hold for 15 mins, I was told 6 month min to see for check up. So, don't say you're taking new patients. AS I was saying I appreciate the information, the person hung up on me without saying more. Business must be good. I Love Dr. Gray, but the staff and especially the nurse practitioner were not very friendly. It is also very hard to get in to see Dr. Gray unless you make an appointment way in advance, and sometimes you need to get in right away.